Either browsing or surfing the internet, when needed to download a file people do that for sure doesn’t matter if that particular downloaded item/file will remain longer or for the short period of time. But later when you are short of some storage space then that time you need to clear some of your Android storage space, especially those downloaded files which you forget to delete. Many of the android users don’t know exactly how they can delete those downloads on Android, there are two ways by which you can delete downloads on Android. The initial and first method you should try is by checking the downloaded files on the default download manager of your Android device. From there you can download them. 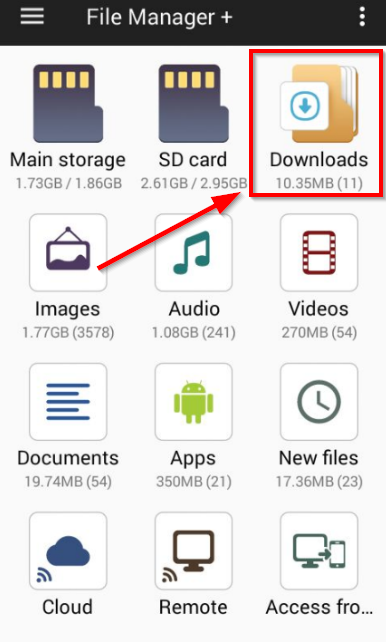 Open your Download Manager from the app gallery on your Android device. Choose any specific file inside download manager that you are looking forward to deleting. Tap on that particular file or select more than one file to delete by tapping on them, now on the header you will see a delete icon. Press the delete icon after selecting the files. After pressing the delete icon, your selected download files will get deleted. You may be having that old file manager preinstalled on your android device which has limited features and a simple interface. But for real, you need to give up on that file manager, especially to get this task of deleting the download onAndroidd, done easily. So here we are using another File manager which is way more convenient and easier than the preinstalled one. Downoad and Install File Manager+ from Play store. Open File Manager+ and look for the folder named as Downloads, once find, open that Downloads folder. Inside Downloads folder you will see all your downloaded files, delete them one by one or bunch of them together by tapping on them. Once selected hit the delete icon. 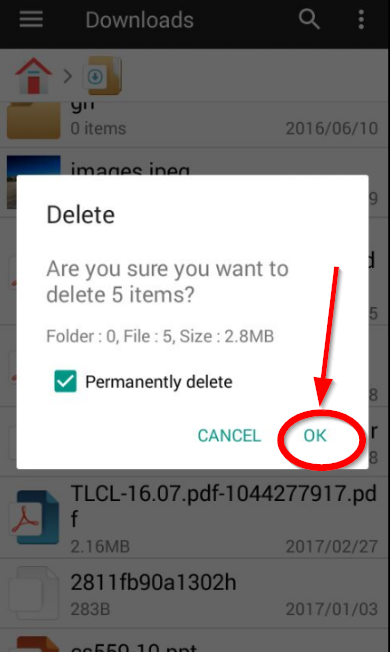 It will ask for the confirmation with the size and number of files that you have selected for deletion. Similarly, if you are using any other browser like chrome, firefox, opera mini or UC browser then you can check the location on those browsers settings so that you can use File Manager+ and delete download on android device which is saved by those different browsers. These are the two methods by which you can delete downloads on android for sure. If you are deleting yours downloads due to less storage space then File Manager+ gives you option to compree your files, it means you can compress all you downloaded files so that it will reduce those file sizes and later you can decompress and open them. Or even you can see them directly by using File Manager+.